An effective staff training plan is a great way to maximise your return on investment from workplace training. Yet, setting one up can be daunting. What are the steps to create a great training program? What training does my company need? Who in my organisation needs training? How can I measure its effectiveness? But, this post will provide answers to these questions by giving you a method for creating your very own employee training plan. First up on the agenda is the subject of goal setting. 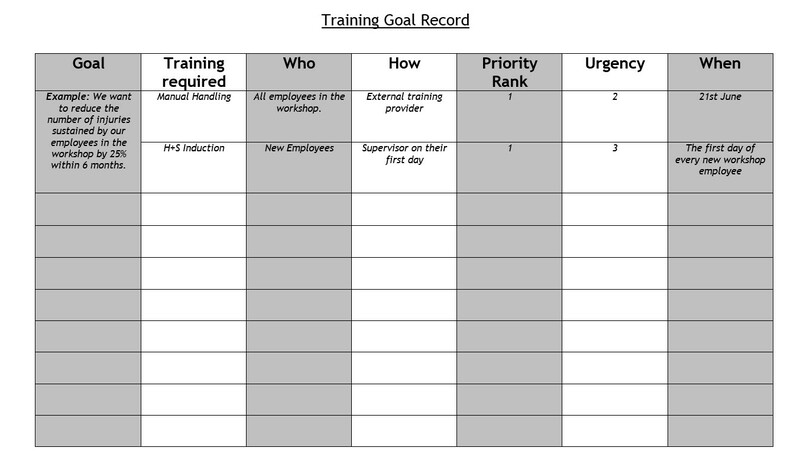 Before you start anything, setting goals for your staff training plan is essential. Without well-defined objectives, there is no way to measure the effectiveness of training. There are many methods for creating goals but one great way is using the S.M.A.R.T. goal method. Specific – What is it that you want to achieve? Measurable – How can you measure the outcome? 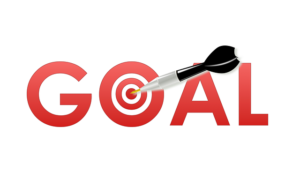 Achievable – How you can you accomplish this goal? Relevant – Does this fit in with the wider business goals? Timescale – What time limit should this objective have? Specific – We want to reduce the number of injuries reported by employees in our workshop by 25%. This will reduce the number of days lost and ensure our workforce go home happy and healthy. Measurable – We will measure the outcome by comparing the number of injuries reported to RIDDOR before and after training. Achievable – We will provide extra health and safety training to those in the workshop. We will review the injuries sustained to date and see if there are any patterns. We will engage employees and listen to concerns. We will tell management to apply greater emphasis on promoting safety in the workplace. Relevant – One of our objectives is to protect our workforce and allow them to conduct their jobs in the safest possible manner. Timescale – We want to reduce injuries by 25% within 6 months. Overall goal: We want to reduce the number of injuries sustained by our employees in the workshop by 25% within 6 months. Previous accident reports – Identify areas with the highest level of injury and illness. Risk assessment – Identify the risks facing your employees. Current training records – Identify if you are meeting legal requirements for training. Future skills needed – Identify the new skills that you require shortly i.e. if you are investing in new machinery or if you will have an influx of employees. Engaging with employees – Gather a more rounded view of training needs. This is important and is discussed in more detail below. Tasks being performed – Identify how often your employees are performing each job and the skills they need for each task. The purpose of these activities is to gather and analyse as much data as you can get your hands on. It sounds clichè but, the more information available to you in the decision process, the better the choices you can make. As mentioned above, one of the best ways of getting to know your training requirements is engaging with employees. Your employees do their jobs day in day out. Therefore, they can tell you what training can provide the greatest impact on their ability to work safely and effectively. Not only this but consulting staff has the benefit of making them feel heard. This makes it the most important step in creating a sustainable staff training plan. The usefulness of the information you receive is determined by the questions you ask. Start thinking about the answers you want. more useful to get Excel for Beginners training OR Excel for Intermediates training? If so, design a question that will provide the answer to this question. If you need some more help creating excellent survey questions make sure to check out this article. Then, consider how you will collect answers. 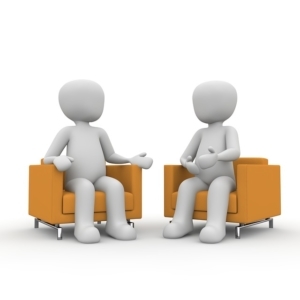 Will you have an employee focus group? Get employees to fill out a questionnaire? Don’t forget that engagement isn’t just about gathering data. Another key aspect is communicating back the results and decisions being made. You do not have to agree with every suggestion/answer but with open streams of communication, you can generate greater trust in the system. After you have collected all the data, you will have a good idea of what training may be required. Some employees will have extra requirements for workplace training. These are shown in the table below. With a solid bank of data and a concrete list of goals, we move on to the next step. What is the best way to provide training in your workplace? The truth is that there is no right or wrong answer. Simple things can often be taught in-house such as health and safety inductions for new employees. However, certain needs may require an outside provider i.e. external qualification for first aiders. What in-house training can we offer? Is training the best way to meet our goal? How many people would need training? What external training is out there? A training provider was used to give all employees in the workshop a manual handling training course. All new employees were inducted with a talk on safe lifting by a competent member of the management team on their first day. This process should be applied to each goal and problem identified in your previous research. Hopefully, this will create your comprehensive list of training needs. You most likely have a predefined budget; planning how to utilise this to give the greatest return is crucial. As we said before, simple training can be done in-house at limited cost. But, there will be times where you need to seek an external provider. Remember: Training is an investment in your workforce, and any budget should be spent in a way to maximise ROI. A cost-benefit analysis can be useful in establishing whether training will show a positive ROI. Data from this will also allow you to prioritise training activities. Don’t forget to consider the urgency of the training as well i.e. if you have two employees that have a first aid qualification expiring soon and need to keep both as first aiders. A refresher course must become a high priority. Remember: Some health and safety training is required by law so will need to be taken care of regardless of its cost-benefit analysis. Check out how we used our training organiser to get a better overview of the training needed in our earlier example. Now, it’s time to plan! This will be different for every organisation and there isn’t a particular method to help you. The level of training that is affordable over the course of the year. Putting training in place starting from the highest priority and highest urgency training. Trying to organise your companies training at dates and times best suited to you. (We offer courses at flexible times such as weekends, evenings or split courses. Contact us for more info). Without reviewing how you have performed against your goal, your staff training plan will always be incomplete. If the company, in our example earlier, experienced a fall in injuries in their workshop by 50% then they have outperformed their initial goal. The plan they put in place was effective and no further steps are needed. However, if they underperformed against their target, an alteration in their current strategy would be necessary. They may decide that a higher-level health and safety qualification is needed, or new equipment such as forklifts need to be provided to reduce heavy lifting. They may choose to go back and ask employees opinions again. Regardless of the option they choose, it is important that you adapt to the position you find yourselves in after the review stage. Remember: This must be a continual process. You need to regularly undergo this process to keep your business training up to date. We have created a helpful tool for you to organise your training efficiently. Download our training organiser here or click the button below. Complete with training record sheets, a training checklist, and a goal recorder. Everything you need to manage your well-prepared staff training plan. You’ll be a well-oiled machine in no time. If you are struggling with any aspect of this, then make sure to comment below and we will get back to you with advice. Or, give us a ring on 01423 396780 for a free consultation. If you enjoyed this blog and found it useful, share us on social media! Onsite training offers the perfect balance between flexibility and cost-effectiveness for training your team.But you may not know about the benefits of onsite training. Yorkshire's Ambulance Response Times: How Long Will You Be Waiting? The time it takes for an ambulance to reach you can mean life or death. https://livius-training.co.uk/wp-content/uploads/2019/03/Ambulance-Response-times.png 421 750 Albert Wall https://livius-training.co.uk/wp-content/uploads/2019/02/Logo-With-Number-1.jpg Albert Wall2019-03-07 16:46:202019-03-07 17:03:39Yorkshire's Ambulance Response Times: How Long Will You Be Waiting? Workplace mental health is a subject that has never been more important.